If you have ever read any of our features on the Museum of Old and New Art and the artworks it harbours that were specifically created by Belgian artist Wim Delvoye and focusing on the body and its functions, you would have gotten a sense of how high I hold his oeuvre in esteem. Delvoye and controversy seem to be inextricably linked, specifically with his more political inspired works and those tackling religion. Wim Delvoye Introspective is the outcomes of a close exchange between the man himself and distinguished scholars and critics. The beautifully embossed tome entails a comprehensive overview of works artist, highlighting the wide range of media, applications of different techniques, and thought-provoking subjects that inform his art. Even if Delvoye is not your cup of hot beverage, the depiction of especially his bigger installations think full-size dump-trucks made from laser-cut steel plates fashioned in the style of Gothic architecture and ironwork or massive 60-foot towers constructed of the same material, are a sight to behold. Let alone his pig tattooing projects and footage of his acclaimed multi-media exhibitions. Delvoye has found and defined a lane for himself – nearly always tongue-in-cheek, at times ridiculous, hardly ever not challenging – a lane for does not abuse conceptual art for obscuring mediocrity or reframing ambiguity. 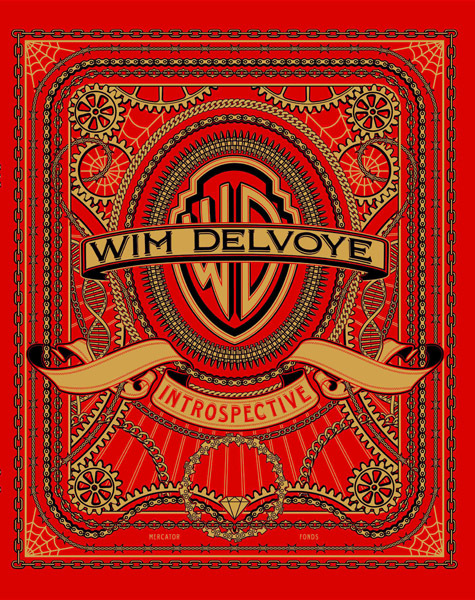 At over 350 pages, with multiple paper changes, the tome entails, photos, sketches and several essays giving the reader the necessary background info to appreciate Delvoye's approach to contemporary art. A beautiful and fascinating book detailing the works of a contemporary conceptual great.